Don’t hit the panic button! Here I have for you a festival of button links for you to rummage through. First things first – traditionally buttons are measured by a unit measure called Linge. You will also have them seized and sold in mm and inches. Having a button size chart will help when it comes to placing orders and designing. 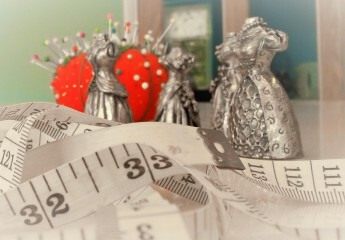 M&J Trim have a PDF size chart true to size with all 3 (Ligne, mm, inches) measurements to download. Back up – Ligne, where does that come from and mean? It comes from both German and French origins and means line. A unit of measurement applied to the diameter of of the button. Made a universal standard measurement in Europe in the 18th century by German button makers. Used by French and Swiss wristwatch makers to measure the size of a watch movement it is a precise and strict unit. A ligne equals exactly 1/40th of an inch of the diameter of a button or a snap. M&J Trim not just for buttons buckles too! – and trim – Shop online or visit the store in NYC. There website is full of information check out the ‘How to buy buttons‘ page. Yes the website and stock is as cute as the name as the business. Also the service is hard to beat. Making this one of my top resources. Take a look at the coat buttons category for anyone making military uniforms. ‘Harlequin is a specialist manufacturer making bespoke accessories and garments for couturiers and dressmakers. We are famous for our fabric belts, covered buttons and ties, which bring the world’s top designers to us looking for our superb quality, exceptionally fast turnaround and our passion for what we do’. A gift from the Costume God’s are D. M Buttons. A feast of buttons and notions are available at Minerva Crafts. Did I menshion their wonderful prices. Part of the JHB mega button compay Button Lovers.com is the online store for Blumenthal Lansing Company. Here you will find all the same brands that JoAnnas and Hobby Lobby sells maybe cheep and in the amounts you need! Vintage covered buttons resource Bee Lignes has a hoard to chose from. Lace Heaven located in Mobile Alabama has a is a little shop with a big supply. Wholesale to the us common people. Also use for trims and embellishments. by PEGGY ANN OSBORNE (Paperback) . by Thelma Johns (Paperback) . by Beate Schmitz (Paperback) .